Lipidor AB is a Swedish, Stockholm based, company developing topical products offering unique lipid based formulation opportunities across Pharma, Consumer Healthcare and Animal Care. The company was established in 2009 by a team of researchers with vast experience in lipid technology, based on the idea to develop an innovative vehicle for dermatology applications. After feasibility had been confirmed and intellectual property covered, products in different dermatology areas are being developed and licensed out. Research and development is conducted at Stockholm University and Karolinska Institutet Science Park in Stockholm, while GMP development and production for early stage and clinical trials are performed at our partners’ and shareholders’ sites at Cerbios-Pharma SA (Pharma) and Aurena Laboratories (Consumer Healthcare and Animal Health). To develop lipid based topical products improving patients quality of life. To establish AKVANO as one of the preferred technologies for dermatological products. CEO, Former Head of Sales at Kibion AB, Ola Holmlund has served in senior sales and business development roles in a wide range of technology and life science companies for more than 20 years, including Biolin Scientific AB, COSMED srl, and Aerocrine AB. He has a BSc in Business Administration from International University of Monaco, and is a Certified Coach with the COPA International Coaching Community. 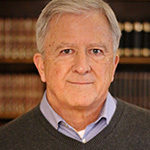 With a BSBA (Bachelor Business Administration in accounting and auditing Michael Owens has held executive finance positions in both the US and Sweden. 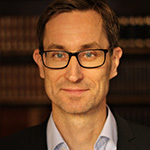 From 2007 – 2012 he was Group Controller of Karolinska Development, playing a key role in successfully taking the company public in 2011. He has extensive executive experience in the medtech research field, guiding companies surely through a complex legislative and fiscal landscape. 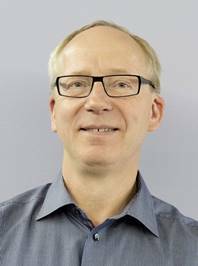 PhD, Chief Scientific Officer Dr Holmbäck has more than 30 years of experience from the pharmaceutical industry in the fields of analytical and organic chemistry. He is specialized in the characterization of lipid materials, particularly by spectroscopic and chromatographic methods, and the use of lipids in drug delivery systems. Previous appointments include positions at Kabi, Pharmacia, and as Senior Scientist at LipoCore. 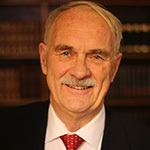 Dr Holmbäck holds a PhD in Organic Chemistry from the Royal Institute of Technology, Stockholm. Co-founder. Pharmacist, (Chairman). Brings experience from more than 30 years in the pharmaceutical drug development industry. CEO of Cerbios-Pharma SA (Switzerland), a company which specializes in the development and manufacturing of chemical and biological APIs. Brings extensive industrial experience. 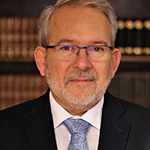 Chairman of the Board and Business Development Director of Aurena Laboratories AB, and has been involved in the medical device and pharma industry for over 20 years. Representing Råsunda Förvaltning AB, a family owned investment company, Per has more than 15 years experience of financing and developing innovative growth companies with international potential. Mr Nilsson received his MSc. in Accounting and Finance from Stockholm School of Economics. CEO of Inhalation Sciences AB. Graduated from the Chalmers University of Technology (MSc). Previous appointments include CEO at PharmaSurgics and Lipopeptide (currently Promore Pharma). Sjövall has spent more than 10 years as the CEO of early stage companies in the life science industry. 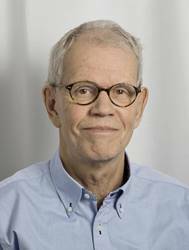 PhD, Prof, Senior Scientific Advisor Dr Herslöf has over 40 years of experience working with lipid sciences in the areas of pharmaceuticals and food, including positions at Karlshamns AB and KabiVitrum AB. 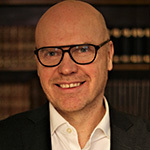 In 1986 he co-founded and was the CEO of LipidTeknik AB, which became LTP Lipid Technologies Provider AB in 2001, and was acquired by DSM in 2006. 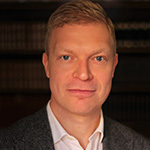 Dr Herslöf received his PhD in Organic Chemistry at Lund University, Sweden. Co-founder. PhD, Senior Advisor. 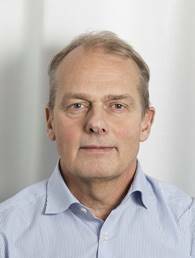 Dr Carlsson has more than 30 years of industrial experience in pharmaceutical development, specializing within the fields of applied colloid and surface science, liquid and semi-solid pharmaceutical formulations, and drug delivery systems. He has vast experience of business development in the field. He is also active in his consultancy company MediGelium AB. AKVANO is based on an original idea by MediGelium. 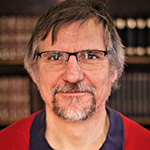 He has a PhD in Physical Chemistry from Lund University, Sweden. Co-founder. 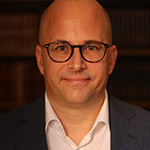 Business Controller Mr Holmertz has 15 years of experience from positions as CEO, CFO, Investor and Board member in technology companies (medical and other) and venture capital firms. Previous appointments include CFO of LTP Lipid Technologies Provider AB, and CIMON Medical AB. Mr Holmertz has an MSc in Business Administration and Economics from Lund University, Sweden. Co-founder. Cerbios-Pharma SA: A Swiss API CDMO and API manufacturer, involved in Lipidor wrt co-development of dermatology products including calcipotriol, business development and clinical material manufacturing. Shareholder. Aurena Laboratories AB: A Swedish Bag-on-Valve manufacturer, involved in co-development and manufacturing of animal care and consumer health care products. Shareholder.